We visited the Camden Shipyard & Maritime Museum on a rainy day in February to meet with Jim Cummings of Urban Trekkers. 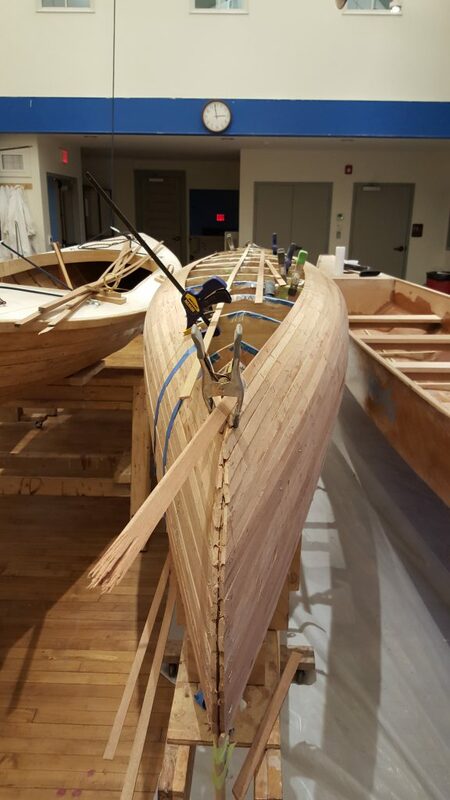 They build boats with students in Camden! In 1961 Camden’s New York Shipyard launched the “super carrier” Kitty Hawk, six years later New York Ship closed, ending Camden’s storied shipbuilding era. 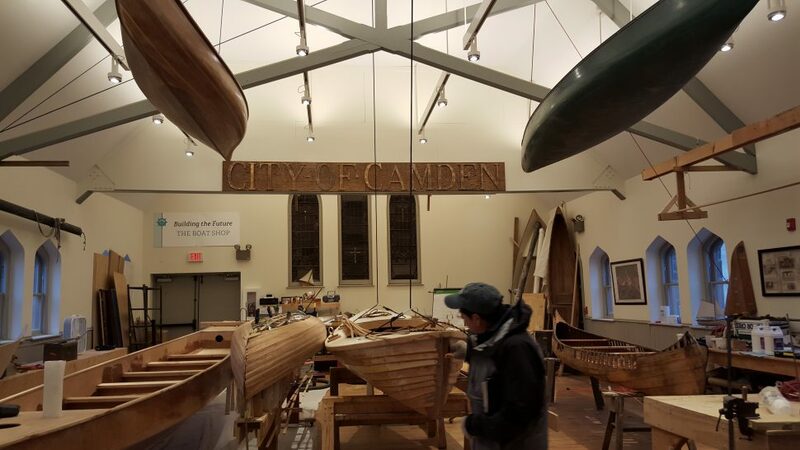 Forty years later, Urban Trekkers students have revived Camden’s long heritage of shipbuilding . No, they’re not building super carriers, but what they are doing is truly super. 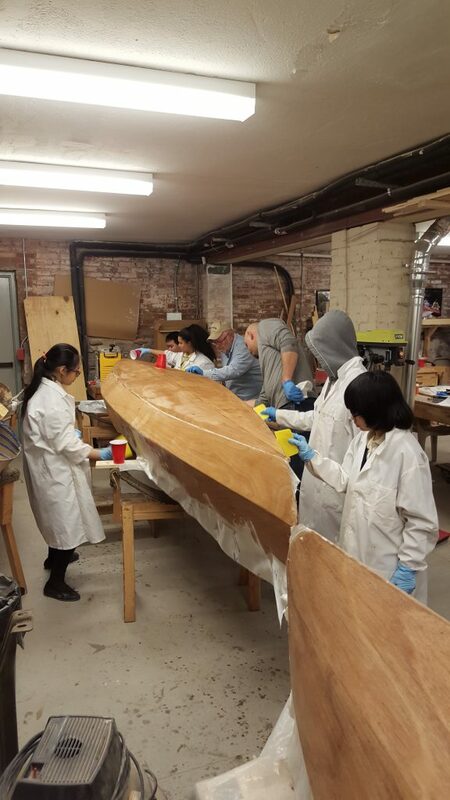 Watching five middle schoolers applying “glass” to “fiber” sealing their plywood canoe reminded me of my feeble attempt to fiberglass a Soap Box Derby racer when I was their age. Their work is far superior. 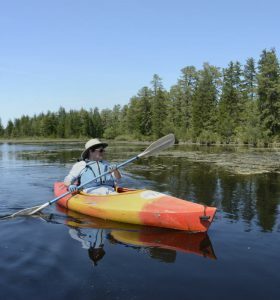 Perhaps it was the guidance provided by dedicated teachers and volunteers at the Urban Trekkers Boat Yard housed in the Camden Shipyard and Maritime Museum. 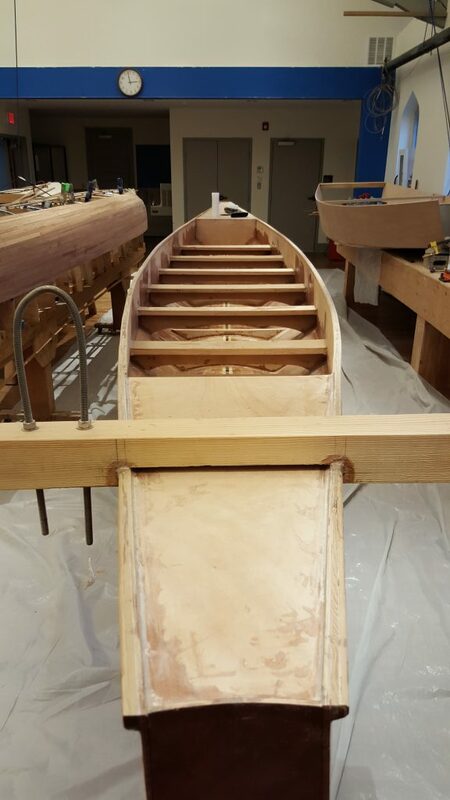 These shipbuilders will be launching their finished work into the Cooper River this June completing one phase of their buy nolvadex online hands-on learning experiences with Urban Trekkers. 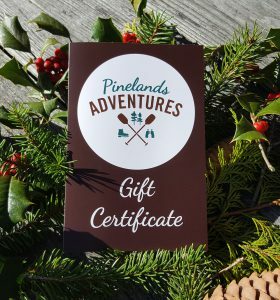 Pinelands Adventures is pleased to be partnering with Urban Trekkers by providing experiential learning in the Pine Barrens. It turns out Perry wasn’t alone when he “discovered” the North Pole. His co-discoverer was Matthew Henson, an African American from Maryland. 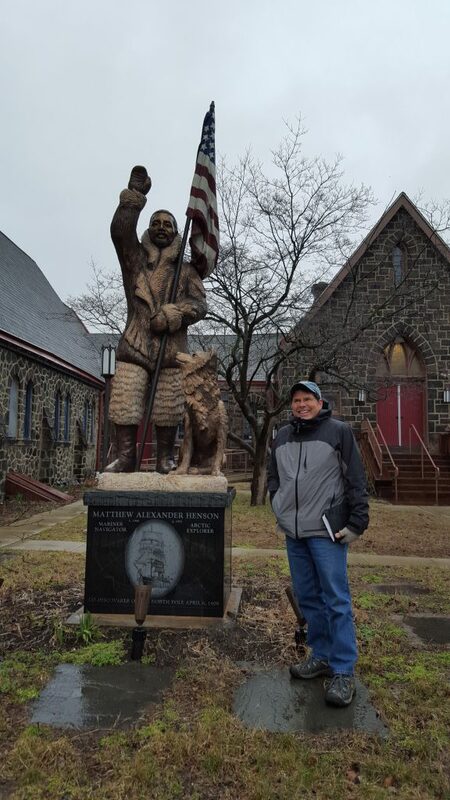 Pinelands Adventures Director of Education John Volpa is pictured here with a statue of Henson outside the Camden Shipyard & Maritime Museum. 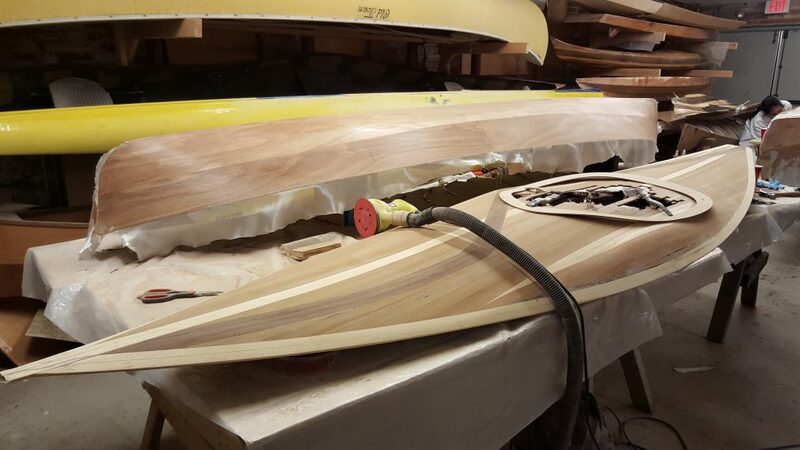 This Chesapeake Light Craft will be auctioned off this June! 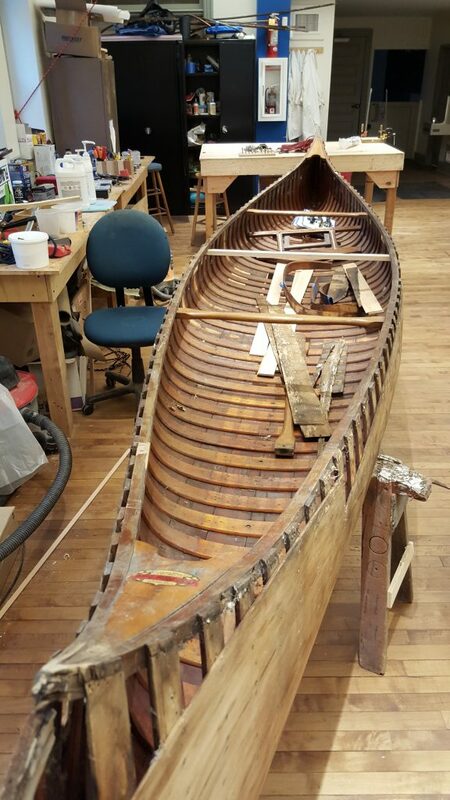 Old Town Canoe undergoing restoration. Students applying epoxy to a stitch and glue craft.